Prof. Bert Kimura at Osaka Gakuin University gives a keynote speech on August 3. The title is " Insanely Addictive ~ Tools for Ubiquitous Learning & Sharing ~"
Higher education is rapidly changing and so is educational technology. Computer applications have evolved from packaged, mega-software desktop suites to online applications and freely downloadable, mini-desktop clients. Increasing globalization has changed the way we work, collaborate, and communicate. As Web 2.0 technologies evolve, social interaction, intercultural communications, and global collaboration increases in importance. How well will technology and higher education complement each other in the next few years? What is the potential for such technology in language learning and intercultural competence? Higher education faces declining budgets and increased costs while student enrollment is declining. This is a global challenge, and is much more severe in Japan than in America today. Yet, there is growing demand for distance learning by students who want options that are more flexible. In America, the “typical” student is one who works, earns a living, and commutes while pursuing her higher education goals. How are these tools addictive? How do we acquire and use them? How can we, as faculty, use these technologies effectively? What are their potential uses for language learning? How can they promote intercultural competence? What concerns and issues lie in the wake of their adoption? Where can more information about these insanely addictive tools be found? Dr. Bert Y. Kimura is a visiting professor in the International Center at Osaka Gakuin University in Japan. He teaches varous conversation and special topics classes in English to native Japanese speakers. He also serves as a consultant in educational technology and distance learning. Prof. Berk Kimura coordinates the TCC Online Conference, a worldwide online conference for 500-700 professors, librarians, information technology support specialists, administrators and student services personnel. This conference, conducted annually entirely online, highlights issues, challenges, directions and the use of the Internet in online learning, as well as in "hybrid" face-to-face classes (http://tcc.kcc.hawaii.edu). Prof. Kimura is Emeritus Professor at the University of Hawai'i, Kapi'olani Community College (KCC) where he served as chair of the Information, Media & Technology Services (IMTS) department. Currently, he also serves as a Faculty Consultant & Lecturer for the Educational Technology Department at the University of Hawaii at Manoa College of Education. At KCC, he previously coordinated KITE, Kapiolani's Information Technology Emphasis, a campus-wide initiative to integrate information technology across the curriculum. He is a past president of the Hawai'i 4-H Alumni Association, a group affiliated with the UH College of Tropical Agriculture and Human Resources. Prof. Kimura served as campus representative to WCET, the Western Cooperative for Educational Telecommunications, and CCUMC, the Consortium of College and University Media Centers. He served on the League for Innovation's Microsoft/Compaq Community College Advisory Council. 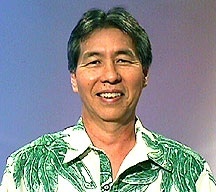 Prof. Kimura has also worked closely with Hawaii's teachers and secondary schools. He served as advisory board member and higher education partner with the Aiea High School complex in the School-to-Work Opportunities initiative and as advisory board member for Moanalua High School's Media Communications Learning Center.